The Single Malt Whiskey Store are proud to stock the famous Aultmore 6 Year Old 2010 - Hepburn's Choice Single Malt Whisky. With so many on offer right now, it is wise to have a make you can trust. 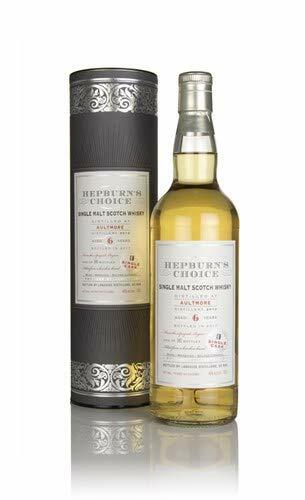 The Aultmore 6 Year Old 2010 - Hepburn's Choice Single Malt Whisky is certainly that and will be a great buy. 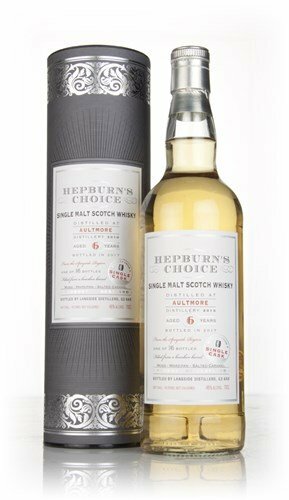 For this great price, the Aultmore 6 Year Old 2010 - Hepburn's Choice Single Malt Whisky is highly respected and is a regular choice amongst most people. Aultmore have provided some nice touches and this equals great value. "70cl / 46.0% - Bottled in 2014 by Langside for Hepburn's Choice, this single malt Aultmore 6 Year Old was distilled in 2010 and was released with an outturn of 345 bottles. Filled from a bourbon barrel, it was bottled with no additional colouring or chill-filtration, and comes at a very reasonable price-point."